"Paradise Found!" 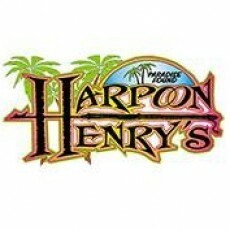 Situated directly on the Delaware Bay with sunsets to die for, at Harpoon Henry's, you'll have to agree you've found paradise! We offer over 250 frozen drinks from our full bar. A tropical delight awaits your arrival. If that isn't enough to tempt you, the food is great and the service is friendly.